I don’t read much in the way of fiction but when I do there is a good chance it has something to do with baseball. In fact someday I hope to publish my own baseball fiction fantasy novel someday but I digress…. I guess that it is fitting that I am watching the Semi-Final game of the World Baseball Classic between the Netherlands and the Dominican Republic on television and that my brother Jeff and nephew Nate are in attendance at AT&T Park as I write this tonight. Baseball is a big part of my life as anyone that is a regular reader of this site knows. It is hard to compare this book to other great works of baseball fiction such as W P Kinsella’s Shoeless Joe Comes to Iowa, which became the Kevin Costner film Field of Dreams or his less known but perhaps more metaphysically interesting The Iowa Baseball Confederacy; Bernard Malamud’s The Natural or Michael Shaara’s Pulitzer Prize winning novel The Perfect Game which became the Kevin Costner film For the Love of the Game. Those books are all classics in their own right; Edelstein’s work has the potential to become a classic in its own right. Now days a book becoming a baseball classic may be harder than in previous times. It is sad to sad but Baseball is no longer America’s game. Baseball is timeless but somehow it seems that for many Americans the sport is neither violent or “fast” enough to warrant their attention. The long season and intricacies of the game seem beyond a society addicted to speed, violence and instant gratification. To me that is sad, but this book though a modern look at baseball fiction and fantasy reaches back to a time when it was the dream of almost every American boy to be a professional Baseball player. Edelstein weaves together the stories of the legendary Babe Ruth, a notorious drunk and womanizer and the Buck family over a period of 85 years. It is a story that begins in St Petersburg Florida in 1926 when a young woman becomes a barber and ends up with one of the most famous men in America as a customer. The relationship, without concludes in a hotel room, the only records of which are the young woman’s diary, a couple of pictures of her with the Babe in the barber shop and a fair amount of unique and highly valuable baseball memorabilia. The woman, turns out to be the great grandmother of a gifted but underperforming young high school baseball player named Ryan Buck. The book begins with a motor vehicle accident in which Ryan’s father dies, his brother loses a leg and he suffers what we understand as a Traumatic Brain Injury. Ryan suffers from survivor’s guilt and does not live up to his full potential. His mother, now a working mom and widow embarks to sell her grandmother’s Babe Ruth memorabilia at a baseball card show to help pay the bills and to pay for the costs of Ryan’s brother Michael’s prosthetic leg replacements. Now I am well acquainted with baseball card shows and memorabilia. My house, much to the chagrin of my wife Judy is filled with objects, none as valuable as original Babe Ruth merchandise portrayed in the book, but for me just as valuable if for nothing else because of my love for the game. The story that Edelstein paints is fascinating and I do not want to give away too many spoilers because unlike the biographical and historical works I have previously reviewed my audience does not know the ending. As such I will limit the discussion of the plot. I will simply note that it deals with a young man’s miraculous climb from high school to the Major Leagues and reconnection with his late father, the healing of the soul of a woman who has lost her husband who has seen the struggles of her children and held on to the hopes of her late grandmother; a woman considered by her mother a tramp and whore. It includes their interaction with an elderly widower who saves the mother from a bad deal at the card show which leads to the discovery of her grandmother’s diary and other items that lead to an interesting search, not just for memorabilia but also for a family heritage. If you don’t get my drift look back at the Babe Ruth quote that begins this review. 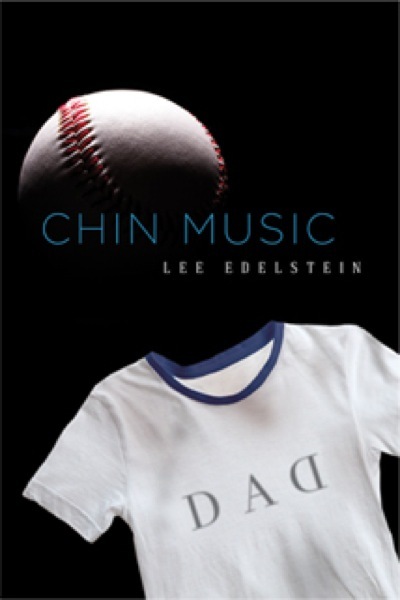 I hope that it does and hope that in reading it people will regain their love for what is rightly called “America’s game.” I highly recommend Chin Music by Lee Edelstein to my readers. I’m glad to see that this book was such a success for you! I do hope that it becomes a classic. This is high praise coming from someone who loves baseball as much as you do! I’m thrilled that you recommend it so highly!